Earlier this year, U.S. News & World Report and the Aetna Foundation collaborated to launch the Healthiest Communities rankings. The program received significant national and local attention and has helped empower citizens, health care leaders and officials to make decisions about policies and practices that can improve health outcomes for all. The Healthiest Communities rankings have become a cornerstone of the Aetna Foundation’s mission of building healthy communities, and the collaboration with U.S. News & World Report continued at their annual “Healthcare of Tomorrow” conference in Washington, D.C. The conference unites the nation’s top health care leaders – medical experts, hospital executives, policymakers, insurers, consumer advocates and industry analysts – to exchange ideas, share best practices, and set new standards for patient care. Dr. Hal Paz, Aetna’s Chief Medical Officer, participated in a panel discussion at the conference entitled “Next Steps for Value-Based Care.” During the conversation, Dr. Paz referenced the continued opportunity for value-based care to help improve health outcomes and reduce health care costs, as well as how it aligns with some of Aetna’s other key strategies. 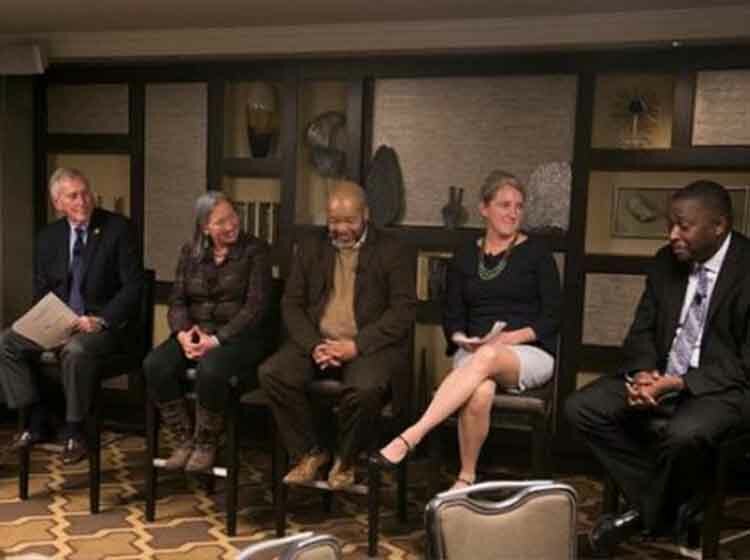 Dr. Garth Graham (pictured, far right), president of the Aetna Foundation and vice president of Community Health at Aetna, Inc., moderated a panel at the event – “Implementing Population Health: Refining and Funding Your Plan. The panelists discussed how to successfully manage the health and well-being of populations using several different unique approaches, including addressing the social determinants of health (including housing and unemployment) and adopting comprehensive care management plans.